Most people know that they can go to their dentist for toothaches, cleanings, and bleeding gums (not to mention cosmetic dentistry procedures such as a smile makeover), but there are some lesser-known oral concerns that Gustafson Morningstar Dentistry, your dentist in Royal Oak MI, can help you with. Dry mouth, technically called xerostomia, is caused by a lack of saliva and can be quite uncomfortable. It also makes dental patients vulnerable to a host of troubles such as tooth decay and gum disease. A lot of men and women experience dry mouth because of medications or medical conditions. Make sure you bring a list of current medications with you to your appointment. Bad breath is usually a result of bacteria build-up in the mouth, and regular trips to the dentist can help you keep your mouth clean and the bacteria count within a sweet-smelling range. Do you have good oral hygiene and still have bad breath? Then we can help you discover the source of your halitosis. Jaw clicking and jaw discomfort are symptoms you should have checked immediately. They can be a signs of serious oral issues. Did you know that some dentists can help with chronic snoring? Some kinds of sleep apnea can be treated with an oral appliance. Dentists also perform oral cancer checks when they examine a patient. Oral cancer is much harder to treat if it is not detected early. We may also be able to help you with teeth grinding. 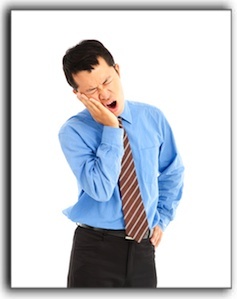 Nighttime teeth grinding can damage enamel and cause severe headaches. If you suspect that you grind your teeth at night—make an appointment for an examination. Your dentist may also create custom sports mouthguards. If you or your child participates in a contact sport, a custom mouthguard may save your smile. At Gustafson Morningstar Dentistry in Royal Oak MI, we do a whole lot more than fill cavities. Our services include general and cosmetic dentistry. Make an appointment with us today.